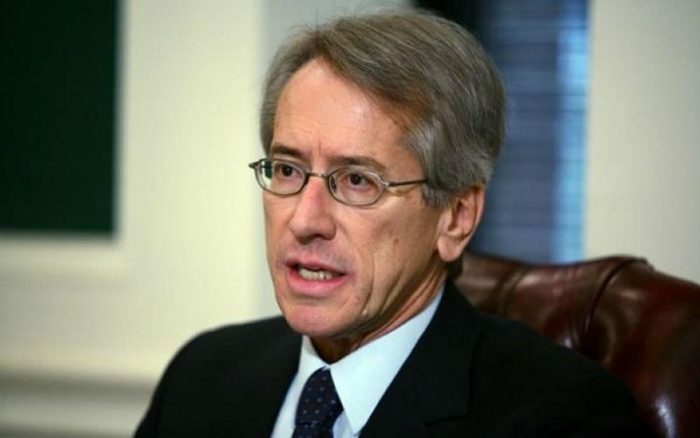 Former Italian Minister of Foreign Affairs, Giulio Terzi, wrote another opinion piece calling for European governments to sever economic ties with the ruthless and violent Iranian regime. The piece, entitled ‘Six Years After Rouhani’s Election, Moderation is as Far Away as Ever for Iran’, appeared in Euractiv on Friday, March 8. Raisi’s past is of particular concern. Like previous heads of the judiciary, he was part of the “death commissions” that took part in the 1988 massacre when regime agents rounded up and executed more than 30,000 members of the Iranian opposition. Many of those killed were members of the People’s Mujahedin Organisation of Iran (MEK), the largest pro-democracy opposition group in Iran. Their only crime was their “failure to demonstrate loyalty to the theocratic dictatorship,” Terzi lamented. The 30,000 executions took place in the span of a single summer. Many were buried in unmarked graves, the whereabouts of which the regime has continued to withhold, leaving many families in the dark on the fate of their loved ones. The massacre was the regime’s response to growing calls for democracy. The MEK has established itself as a viable alternative to the regime’s ruthless branch of religious fascism, which it remains to this day. 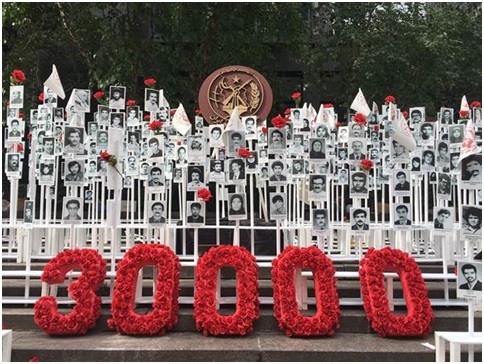 “The massacre failed in its goal,” argues Terzi, “the PMOI (MEK) went on to gain in strength and popularity over the next three decades.” Today, the MEK is instrumental in coordinating protests against the regime’s economic mismanagement and rampant human rights abuses. It played a central role in the nationwide protests that rapidly spread across the country in 2018. 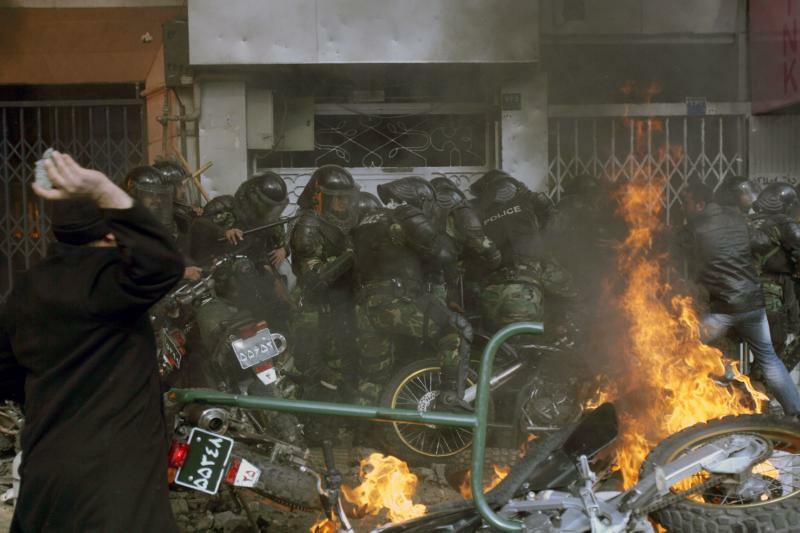 Like in 1988, the regime’s response has been to suppress protests through a violent crackdown on the Iranian opposition. 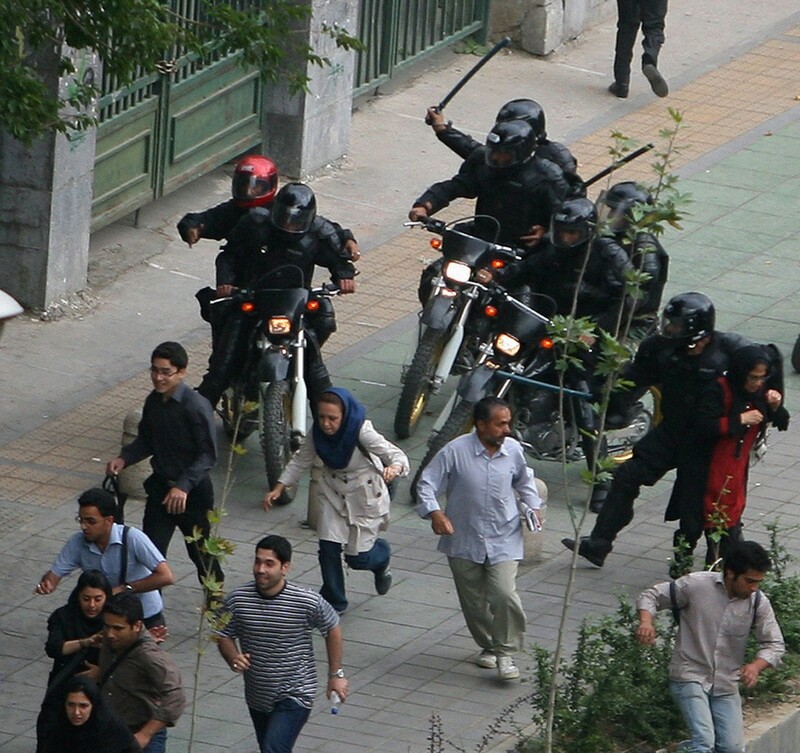 In January alone, more than 8,000 Iranian protestors were detained and 50 were killed. There have already been signs of impending violence. The clerical regime has made overt threats of executions against those engaging in protests and strikes against the regime. Iranian regime’s President Hassan Rouhani, often championed among European governments as a “moderate” influence within the Iranian regime, has shown indifference towards the appointment of murderers and criminals to senior positions in the Iranian judiciary. He has also filled his own cabinet with those that took part in the 1988 massacre. These appointments show that at best, Rouhani is a loyal servant to the Supreme Leader and at worst, he is another hardliner, happy to promote murderers and brutes. 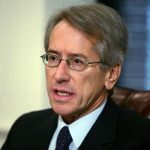 “Western policymakers have turned a blind eye to his record,” Terzi asserts, “because of their expectations about opening up Iranian markets and gaining access to Iranian oil.” “Such a short-sighted attitude cannot be a guiding principle for Western policies toward the Islamic Republic anymore,” Terzi concludes. Terzi calls for the immediate severance of ties with Iranian businesses and diplomats. “The international community should push for an independent inquiry about all the crimes committed by the Iranian regime,” he asserts. If Tehran refuses, then international governments must embrace the only viable alternative to regime rule: the MEK. 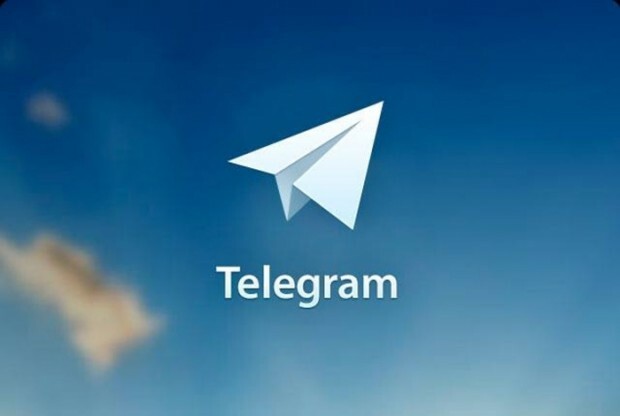 The Iranian regime is once again expressing fear over the popularity of MEK channels in Telegram and Instagram as a sign of their influence among Iranians and particularly the youth. The Internet and social media have changed the way activists share information and mobilize followers. 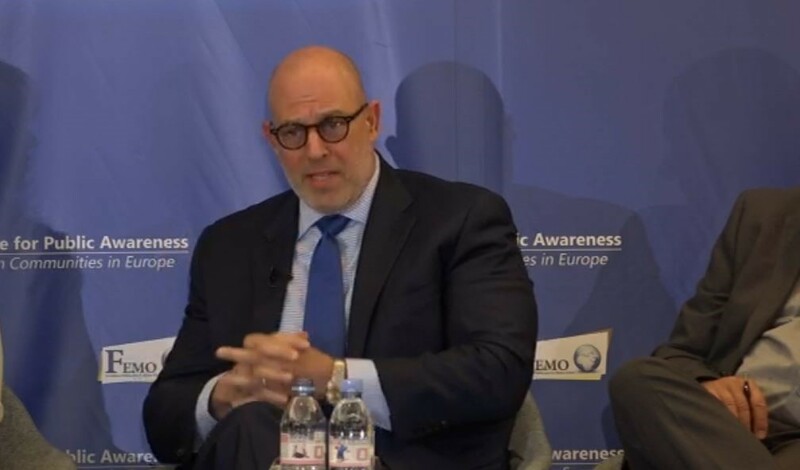 The MEK has shown particular skill in organizing the Iranian Resistance using social media, which has caused panic among officials at the highest levels of the Iranian regime. Over the past few months, a number of state-run media outlets and regime officials, including Iranian regime’s President Hassan Rouhani, have voiced their concerns about the threat posed by the MEK’s online activism. 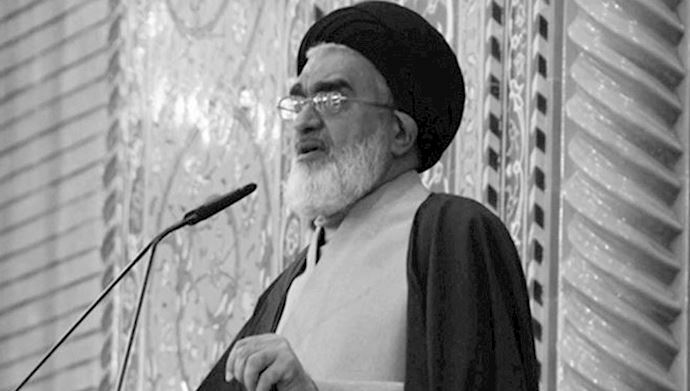 Yousef Tabatabai Nejad, the Friday prayer leader in Isfahan Province expressed the mullahs’ fear that the MEK’s use of social media to freely spread information to Iranians would weaken the theocratic regime’s ability to control the people through its clerics. “Some people have ruined the reputation of clergy on the internet and social media,” Nejad said. “These measures are conducted by some PMOI/MEK channels and platforms. They are intending to wage a soft war to make the people pessimistic about the clergy and changed their minds against us. We must do something against such measures.” Friday prayer leaders are considered the mouthpieces of the regime Supreme Leader Ali Khamenei. Their words reflect the beliefs and ideas of those at the highest levels of the regime. The regime’s fear of the MEK is clear. The mullahs have depended on propaganda and censorship to maintain their control over the people. The MEK is using the Internet to bypass these measures and bring free information to the people. The mullahs have no way to stop the people from expressing their will, and their will is to overthrow the regime. MEK’s social media activities and their popularity has broken the walls of censorship in Iran causing fear for the regime officials. 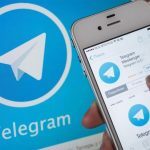 Officials within the Iranian regime are showing their increasing discomfort over the influence of social media in Iran. In recent months a number of high-ranking officials within the regime, including regime Presidentو Hassan Rouhani have expressed their fear that social media could be used by the MEK and Iranian Resistance to rise up against the mullahs. Montazeri’s comments follow a series of similar remarks by regime officials. Their words invoke scare tactics that vilify the free exchange of information and set the stage for further crackdowns on social media usage and more extreme censorship of the Internet. Javad Javeed-Nia, the regime’s Deputy Prosecutor General in Cyberspace Affairs also spoke about the role of the Internet in changing people’s minds about issues. This is a deep concern for the regime, which relies heavily on propaganda. Javeed-Nia said, “90 percent of the country’s cyberspace is controlled by foreigners and their main objective is to change the society’s tendencies and tastes. Everyone should react strongly through a planned process to the measures of our enemies and the [People’s Mojahedin Organization of Iran (PMOI/MEK)]. Social media has changed the landscape of the revolution. 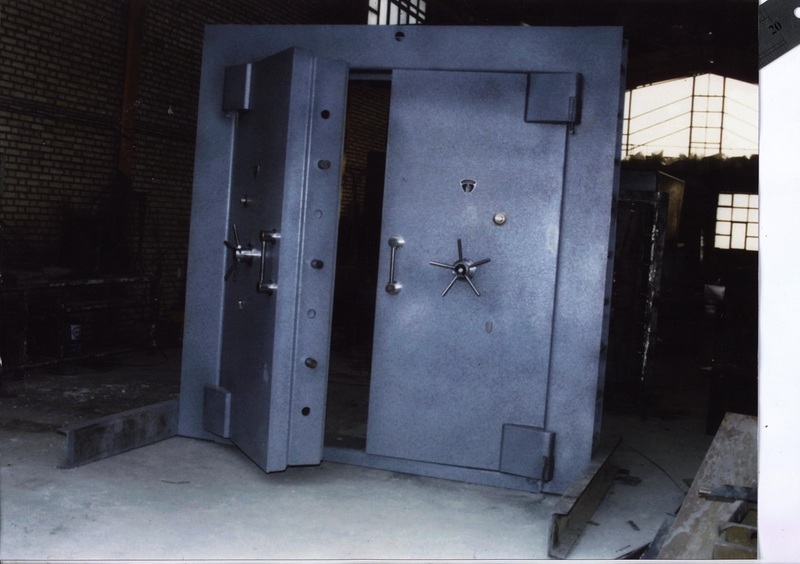 The mullahs no longer control access to information, and the information is power. The people of Iran are closer to freedom than ever now, and the regime and its officials can no longer deny this fact. 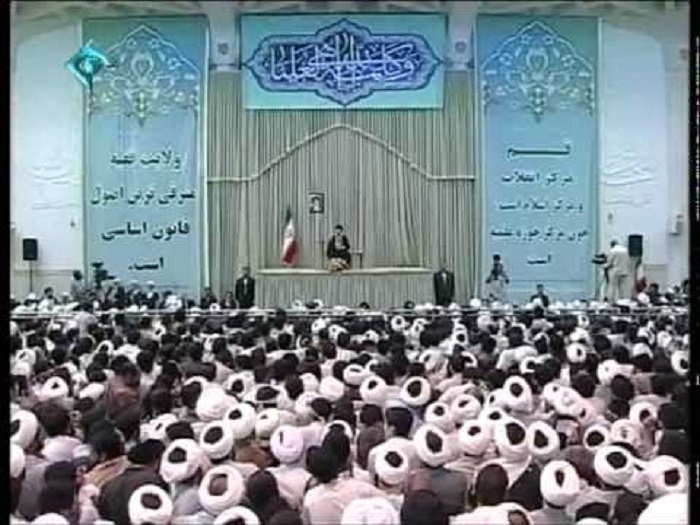 On Wednesday, January 9th, the Iranian Supreme Leader Ali Khamenei delivered a speech in Qom. In his speech, he expressed concern over the rising influence of the People’s Mujahedin Organisation of Iran (MEK) and the opposition group’s ability to mobilize the Iranian opposition and organize street protests across the country. 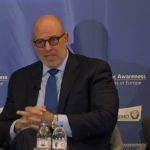 He went on to reference a recent speech by Donald Trump’s National Security Adviser John Bolton when Bolton addressed the MEK in Albania during an event marked to celebrate Persian New Year. Khamenei’s remarks illustrate the extent to which the regime finds itself under intense scrutiny at home. The MEK’s strength is growing as 2018 saw a wave of protests wash across Iran. Fearing for their future in power, the mullahs have lined up to attack the MEK and their supporters. The clerical regime has increased its attempts to limit internet freedoms and counter the MEK’s influence in the digital sphere. 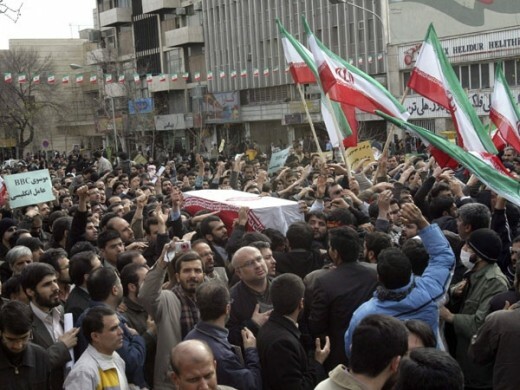 Following protest over a contested election that broke out in 2009, the Iranian regime severely limited access to social media websites including Twitter, Facebook, and YouTube. 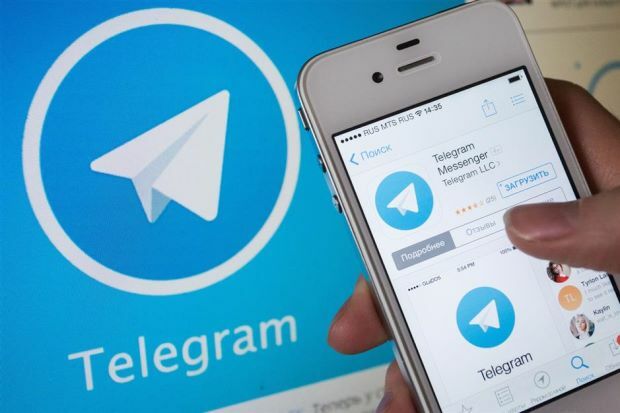 Then, following a fresh round of nationwide unrest at the beginning of 2018, the regime blocked Telegram, a popular instant messaging app with more than 40 million users in Iran. 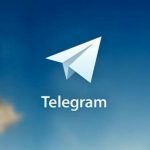 There have also been recent plans to block Instagram and replace it with a regime-created Iranian replacement which allows regime agents to spy on users and control the content available. The MEK has published the results of several investigations on their social media channels, including in-depth investigative pieces on the lavish lifestyles of the mullahs and their misuse of public funds. Despite their repressive measures, the regime has been unable to quash domestic unrest and prevent the public from mobilizing in protest. 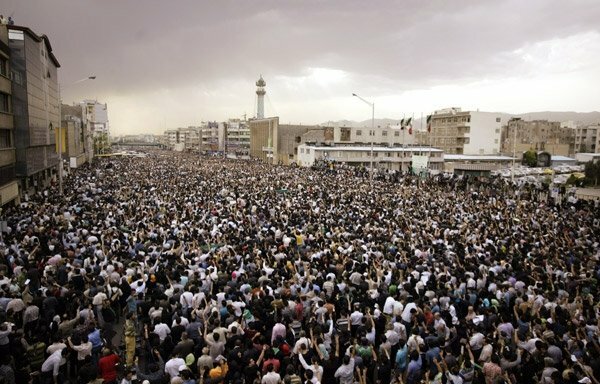 Protests have spread across Iran like wildfire, and the mullahs are scrambling to avoid being caught up in the blaze. The Iranian regime’s rising panic about the Iranian opposition movement, specifically the MEK, displays itself in state media on a regular basis. 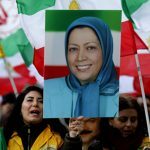 For decades, the mullahs denied that the MEK had any influence within Iran, but the regime can no longer dispute the power that the opposition group has in organizing popular protests on a daily basis through its resistance units. Now the regime and its mouthpieces in the state-run media have changed their strategy of attempting to understand how the MEK works in order to stop the uprising that is taking place across Iran. The author went on to discuss other threats to the regime. He wrote: “Are Israel, the U.S., and Europe the main threats against us? 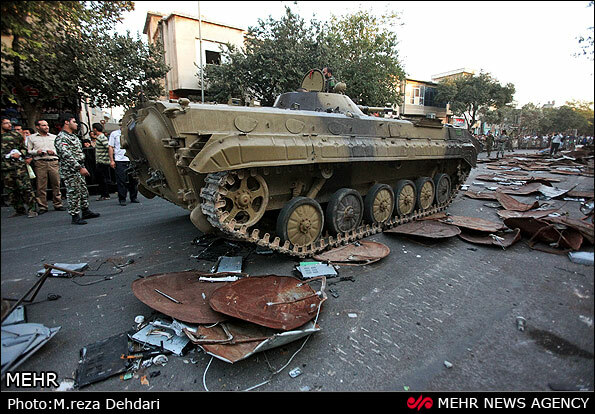 Of course, they remain our enemies but can the U.S. truly overthrow the Islamic Republic? How about Israel? Certainly not. 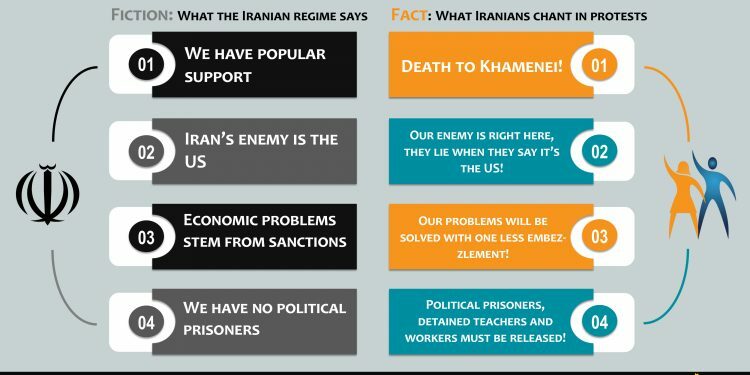 So, a realistic outlook demands that we determine as a first step that the main enemy is not a foreign force but an internal one.” It is clear that the regime and its supporters see the MEK as an existential threat. The regime is so fearful of the MEK that it planned multiple terrorist attacks this year on the group, all of which were foiled. The author of the opinion piece believes that the MEK will display a show of power during the month of Muharram. 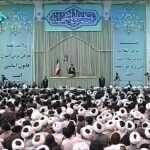 He then cited unnamed reports indicating that the MEK is setting the stage to launch activities during Muharram (A month dedicated to religious ceremonies that prepares the ground for mass gatherings in Iran). Iranian economy is in freefall. Nationwide #IranProtests & strikes are continuing. 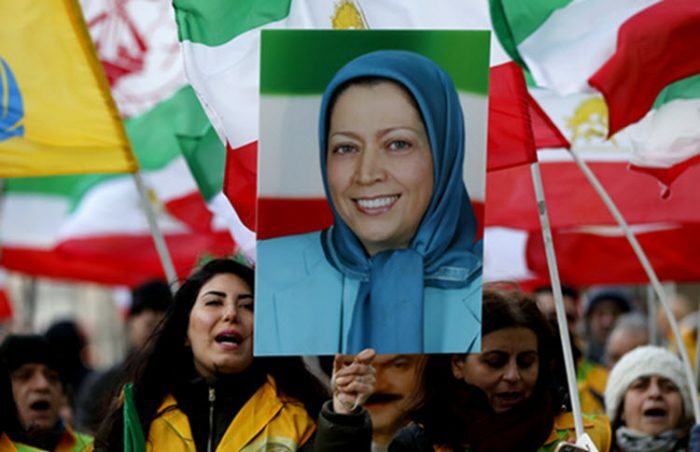 Iranian Opposition #MEK has created resistance units. This latest piece of state media is just another example of the fear that is emanating from the regime loyal forces and an admittance to the influence the MEK has on the youth. The MEK’s resistance units have organized and mobilized the people, and the people have made their voices heard. The corrupt regime is falling, and a democratic alternative is here to replace it. Archive photo- An MEK supporter holds a placard of Maryam Rajavi, the President-elect of the NCRI during a rally in London. In an opinion piece, regime official Alireza Davoudi detailed his experiences with young clerics and their affinity for the democratic beliefs of the People’s Mujahedin Organisation of Iran (MEK). Davoudi describes a trip he took in March 2017 from Isfahan to Tehran. On his trip, he traveled with a young clerical student. The student and Davoudi struck up a conversation and the topic soon turned political, as they explored the political challenges facing Iran. 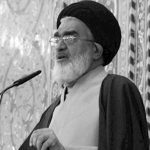 “I was staring at the soft and partial beard of the young cleric student while listening to passionate words flowing out of his lips”, he said, adding, “he was passionately articulating thoughts that I had only come across in the Monafeqin (The derogatory name the Iranian regime uses for MEK) literature”. 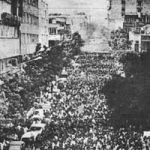 Davoudi describes the moment as a “wake-up call within myself.” At this moment, Davoudi realized the traction that MEK ideas were gaining across the population. A young cleric student, who had been exposed to regime ideology on a daily basis, had still adopted MEK ideas. 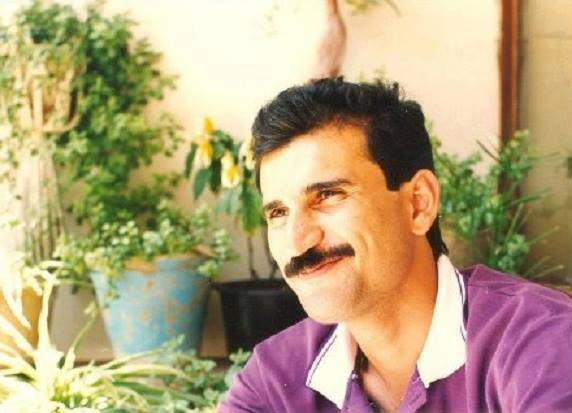 “Since then,” Davoudi says, “I have realized with every fiber of my being how destructive the influence of the enemy and especially the MEK can be, which can demolish our homeland” expressing the regime’s fear of its existential threat. “The fact is that young people need to experiment with fresh outlooks and their ‘sense of curiosity’ can lead them in any direction”. Frequently that “curiosity” Davoudi refers to, leads the nation’s youth to the MEK. It is worth noting that Davoudi’s anecdote took place in March 2017, long before the national MEK-coordinated uprisings in December and January. Now MEK thought and slogans are much more prevalent. 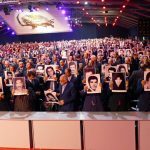 The state-media and individuals from the regime have warned of the escalating threat of the MEK. Davoudi’s anecdote holds more relevance now, particularly following the August 16th seminary in Qom, where anti-Rouhani clerics held a placard directed at Rouhani which read, “Farah’s pool is your fate”. 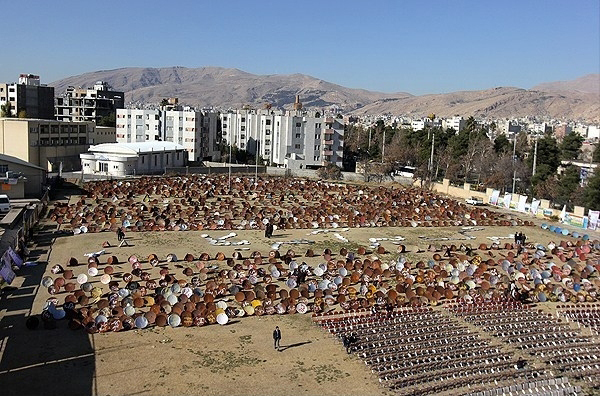 Davoudi concluded, “I am not even going to mention that some of the circles that are formed in religious seminaries are directly or indirectly associated with the MEK”. He didn’t need to. The sentiment is clear. 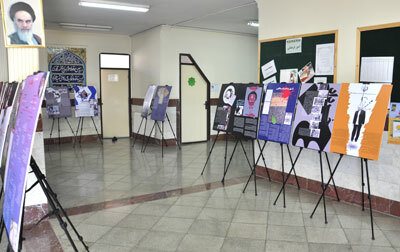 MEK thought and democratic ideas are gaining traction across all sections of Iranian society. Even the religious seminaries, once a bastion for regime ideology, are undergoing a democratic transition. Nowhere is safe for the mullahs. 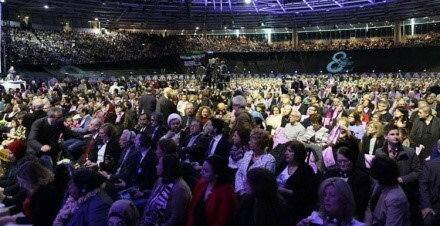 While for years the Iranian dictatorship and its lobbies had denied MEK’s major support at home, and by running smear campaigns had tried to misinform the International audience from the popularity of the main opposition among Iranians inside and outside the country, the recent positions by various high officials prove differently. A series of protests have spread throughout Iran’s cities since July 31st, in response to the terrible economic situation and the spread of poverty across Iran, the mismanagement of water and electricity and carelessness of the regime towards bare necessities of Iranians while spending billions to prop up the dictatorship in Syria. People from all walks of life have taken to the streets to protest the regime’s failed economic policies. Though the protests were sparked by economic unrest due to the latest plunge in the rial’s value and resulting increase in costs, outrage among the protesters soon turned to the regime and its leadership, particularly the Supreme Leader, Ali Khamenei. Chants of “Death to the dictator!” and “Death to Khamenei!” were heard in Isfahan, Karaj, Tehran, and other cities and towns across Iran. The role of MEK during these demonstrations has been essential in mobilizing and expanding the anti-regime protests. The following are some of the quotes that have been made by regime officials and “experts” over the past few weeks as protests have ramped up to the current widespread uprising. “The MEK has been on top of the social media scene from the start. They attract political activists in the streets and ordinary people and convince them to be MEK resources.” He went on to talk more about the MEK’s role in social media. 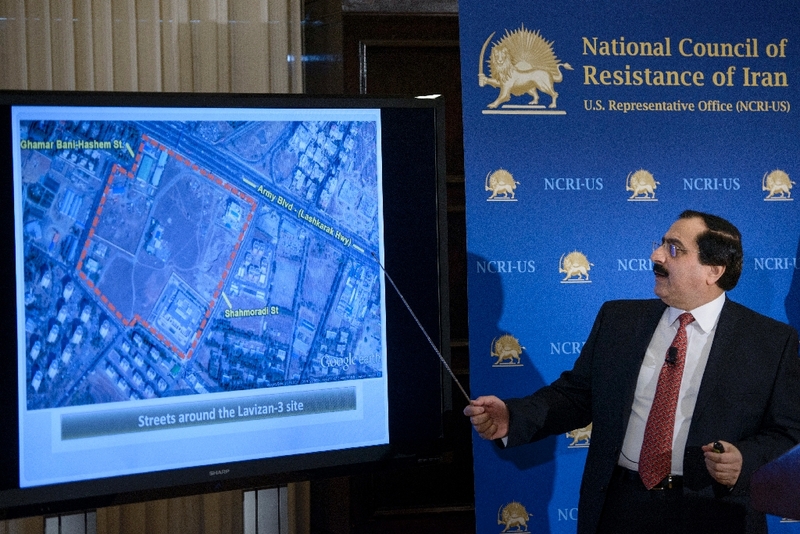 On July 25, 2015, Mohamad Khan Boluki, Managing Director of the regime’s Transportation Union, also claimed that the MEK was responsible for the labor movement. “The majority of the people that guided the truckers’ gatherings to insurrection were from the MEK who had infiltrated this social sector,” he said. 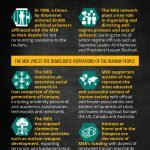 The running thread through all of the statements made by regime officials and experts is that the MEK – the powerful force in the Iranian resistance – is driving the protests and social upheaval taking place in the country. The regime is wrong to place the blame for the uprising at the feet of the MEK: the regime is responsible for the uprising through its corruption, cruelty, and mismanagement, and the people are rising up of their own accord. But the longstanding argument of the regime has been that the MEK is a weak organization that has no standing or power within Iran. Now that the people have risen up, it has been forced to adopt a new narrative and has contradicted itself. The MEK cannot be both a toothless organization with no internal support and a well-organized resistance that is responsible for a massive uprising and its slogans demanding freedom and democracy through regime change in Iran “being heard everywhere”.